Has any of your clients hired you to deliver one or more UX projects? If they have, you would need all the help you can get to deliver a superb job. You will need a team to help you. On top of that, you will need different tools. One such tool is the UX brief. It differs from traditional briefs in that it doesn’t focus solely on articulating or clarifying project expectations. It also acts as a reference for aligning everybody and everything to the projected goals and outcomes. How does the brief accomplish all that? As the freelancer, you don’t own the vision. The clients own the vision regarding the ending they would love for the project. Your job is to deliver that ending or result. Nevertheless, that doesn’t deny you the chance of rallying everybody around the client’s vision. In fact, part of your job involves reminding clients what their original vision was. The brief can be a powerful tool in that regard. It helps to keep everybody in check so that nobody gets off track. 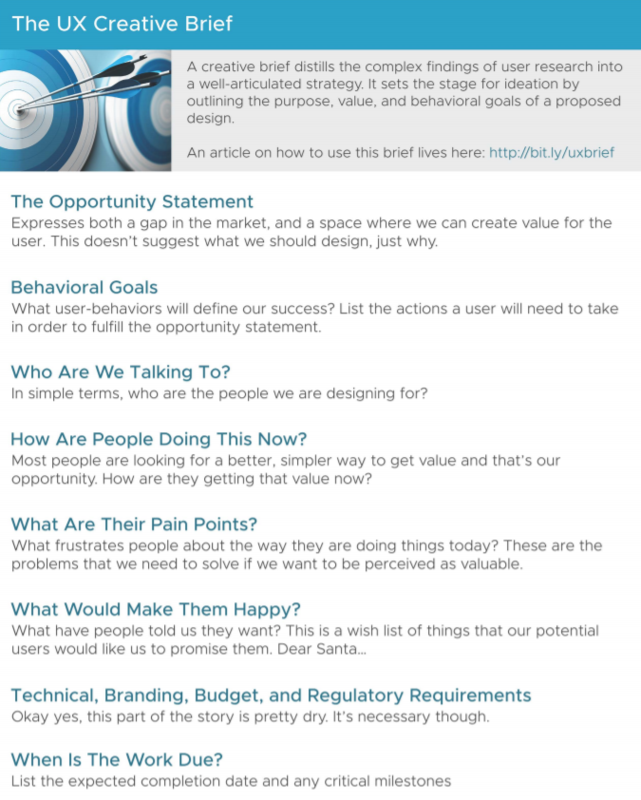 The UX brief has to include the “why” of the project! Are we creating a native or mobile-responsive app? Will the app feature user-generated content or live chat? How will users find out about the app? A well-written brief also delves into the “how” of the project. Here, it mostly deals with design principles. For this reason, the brief has to contain a short list of the design principles that the freelancer’s entire team will abide by. The principles should never change for the duration of the project. In tackling this issue, the focus should be on putting yourself in the end users’ shoes and seeing how the product will benefit them. How many stakeholders are part of the UX project? The freelancer has to know members of the entire team. The purpose of creating this list is to keep everybody on their toes with constant reminders so that nobody deviates from the overall goal or intention. Many freelancers discover that members of their UX design teams are involved in other projects thus unable to commit fully to the current one. 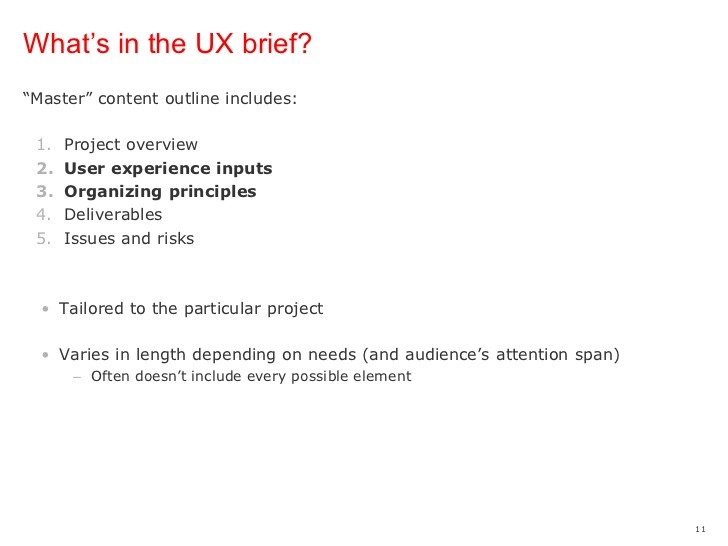 With the UX brief and the list of stakeholders, you’ll avoid that. A good brief should also address the issue of time. Here, the focus tends to be more on the issue of deadlines and commencement day. Freelance UX designers can only address this issue in-depth when they take time to know the end user. The more information you have of the users, the easier it will be for you to start and finish the project on time. Otherwise, you may spend eternity trying to solve something that is quite simple and straightforward. Therefore, you now have all the reasons for using UX brief to make your freelancing skills hard to ignore. Clients can now pass other designers and seek you to solve their needs or take care of their UX design projects. Make sure the brief covers all the basics, as shown here. Do not leave anything out. With this in mind, embrace the brief and use it to drive your freelancing operations to the next level.